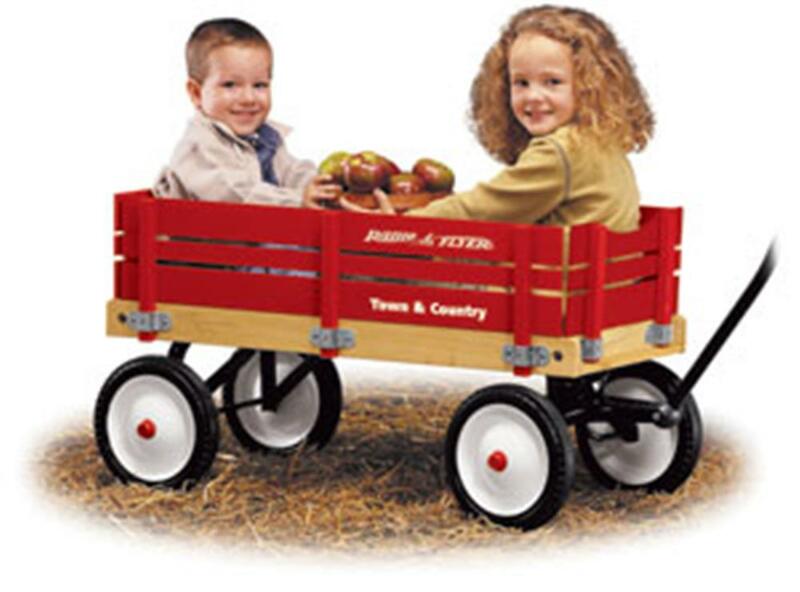 Makers of high quality collectibles, Radio Flyer has been the original red wagon since 1917. Extra-large 36” x 16” body handcrafted of natural finish wood with removable sides featured in their trademark bright red. 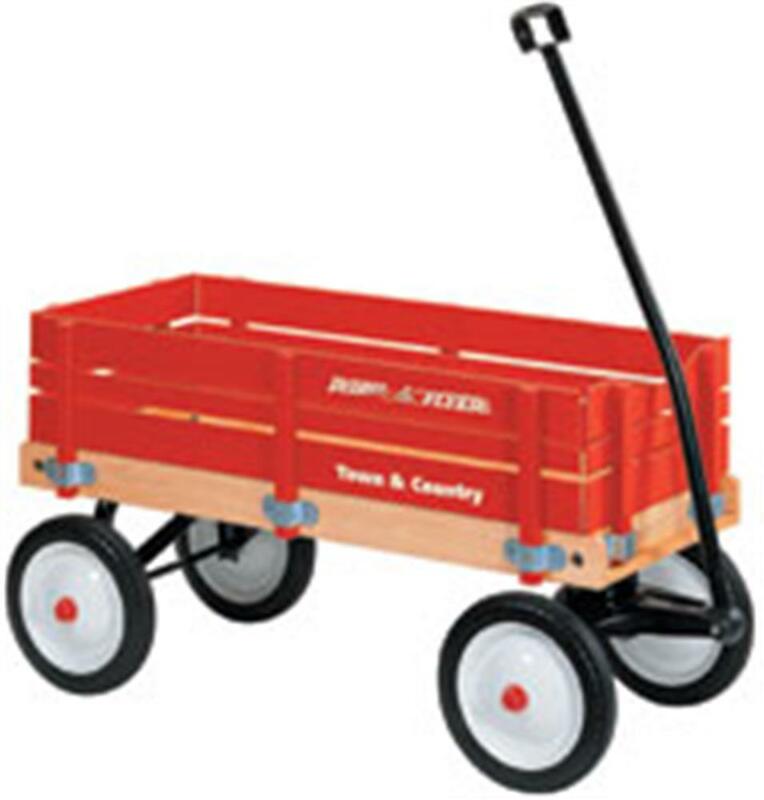 Durable steel wheels with heavy-duty rubber tires provide a smooth ride, with extra long handle for easy pulling and folds under for easy storage. This item is shipped direct from the factory. Please allow 2 weeks for delivery.